The University of Kentucky saw their perfect season go up in smoke on Saturday night when they lost 71-64 to Wisconsin in the Final Four’s national semifinal round. The 38-1 Wildcats fell short of a spotless 40-0 record with surprising defeat. 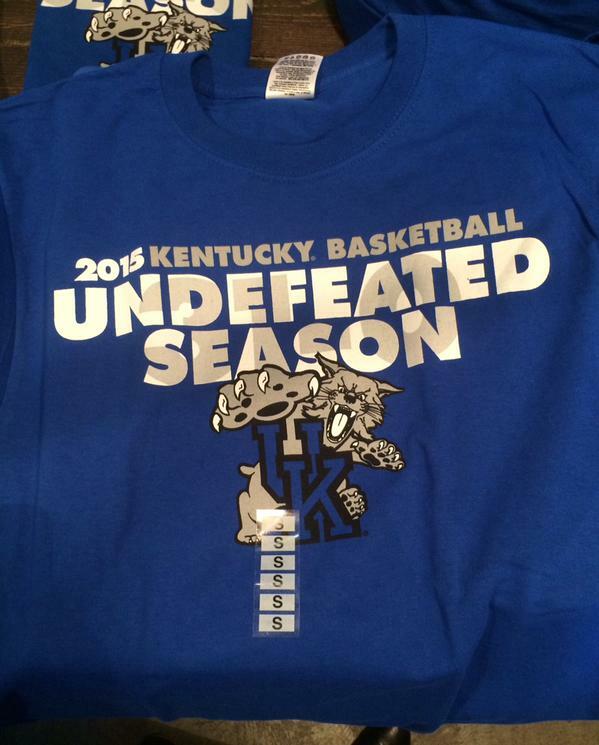 Tonight’s result begs the question…did they have shirts for an undefeated season already printed? Kentucky Wildcats Basketball isn’t the only team that missed out on a shot to go unbeaten just a few steps away from the title. The 2007 New England Patriots finished 18-1 after losing Super Bowl XLII to the New York Giants. Kentucky’s undefeated season t-shirts will now face a fate similar to that of the ’07 Patriots…popping up on eBay as a collector’s item or in some third world countries.